Article looks at changing trend of men’s trouser fashion. 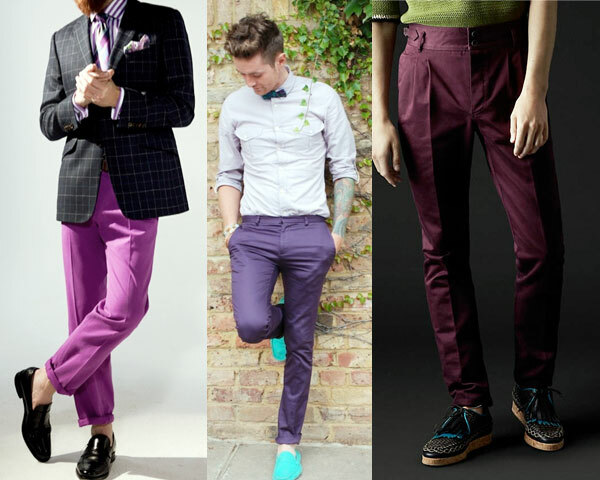 It recommends five colored trousers that men could wear this New Year. Colors are among those unique gifts that the almighty has generously bestowed upon human kind. Unlike other mammals, we are able to differentiate from different shades of colors; in fact life without it would be bland and be bone dry lacking creativity. More importantly, colors in fashion would have been strictly limited to white and black shades. 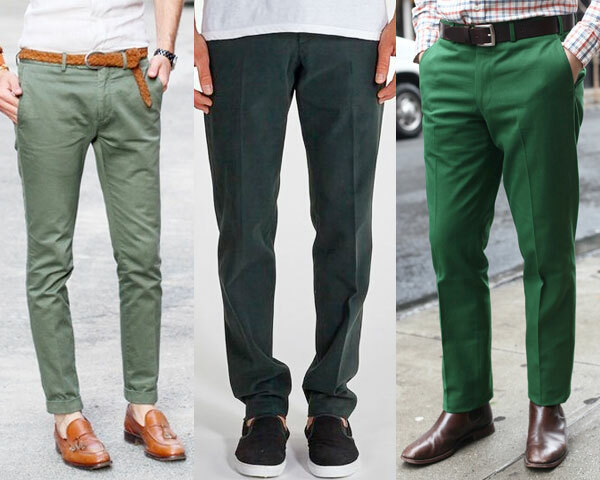 In this article, I am going to look at the emerging trends of colored trouser fabrics being worn by men, their inherent meaning in color and what are the most common colored trousers that willing men should try out in the New year. 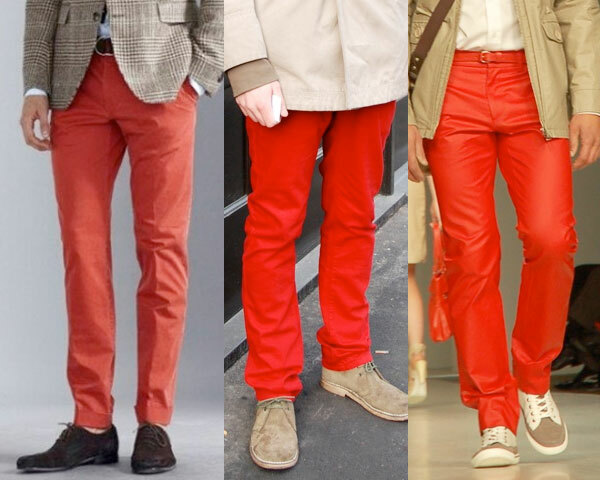 Colored trousers have been in existence since a long time; however now they are slowly emerging out of their recluse for the common man. Wearing them today; has turned out a new sense for flaunting individual identity among young men, wherein a color represents an individual’s own personality. Famous male models have sported colored trousers on ramps across the world, however for a common man; it takes a little bit more of confidence and inspiration before switching to wearing colored pants. This article is meant to sow that seed of inspiration amongst readers, so that you are not left out in this color revolution. 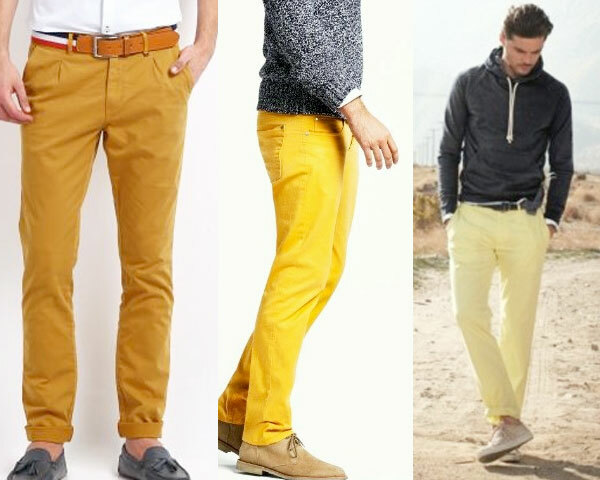 Let’s quickly look at 5 colored trousers meant for daily wear, it is recommended that you wear them in the sequence of listing, this way neither you nor others will be shocked or surprised at the change. I personally look forward to wear these; they are a welcome change to someone, who is tired of wearing denim jeans throughout the year. 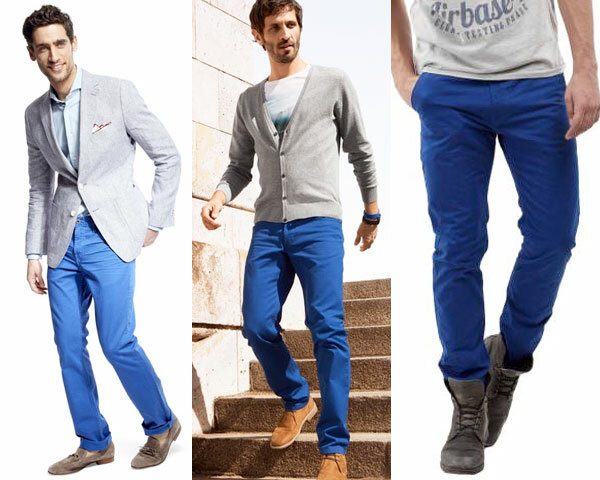 Wearing bright blue cotton chinos is bound to get some admirers. Prepared from combining blue and red tones, the purple color stands for both calmness and fierceness. Men holding important positions in society like Kings, prince, priests and other important clergy have been known to wear purple outfits since ages. Wearing purple pants symbolizes a tall adjective order mainly standing for wealth, extravagance, creativity, wisdom, dignity, devotion, mystery, independence and magic. 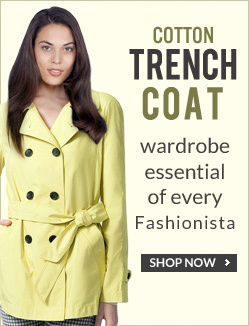 This is one shade that is a must have in your fashion wardrobe. Even if one tries hard, he can’t imagine a person who is glum and gloomy wearing yellow. It’s the color of hope, sunshine and radiates happiness. Yellow pants will look great on someone, whose very presence in the room energizes and creates an aura of hope and happiness. The color red stands for aggression and focus. If you are having an imposing or authoritative attitude, you could choose red color pants. It’s just the 1st of 52 weeks for the New Year; we believe that having trousers of these shades in your wardrobe is only going to be an asset to your personality. They can be really popular as gifts as well, just bear in mind to get great accessories and we believe you will love the change!